Free Spirit Farm is proud to host a number of different clinics throughout the year. Check out what’s coming up this year! As with any clinic at the farm, please be prepared to provide a current Coggins (2yrs) and shot record for any and all participating horses. Reserve Your Space in the 2018 National Mounted Police Services De-Spooking Clinic! 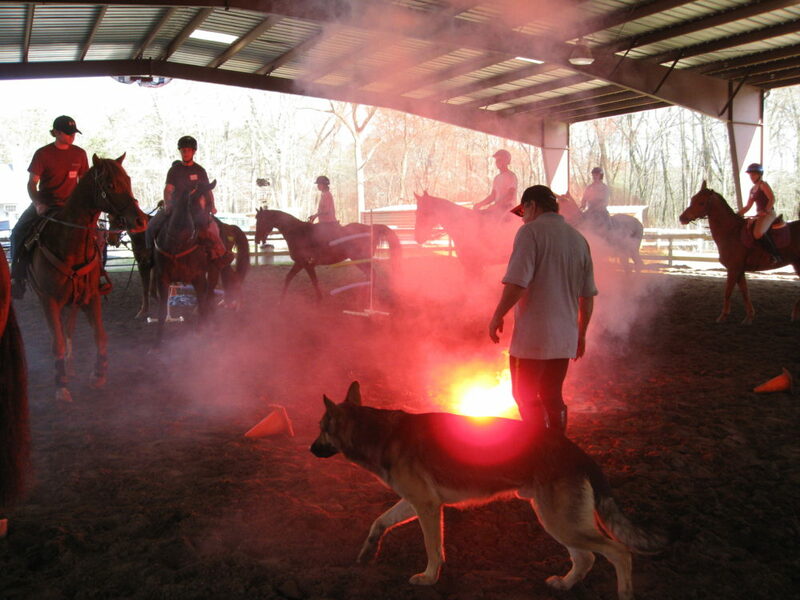 Free Spirit Farm will host Bill Richey of National Mounted Police Services, Inc., for another De-Spooking & Mounted Police Training Clinic on April 27-28, 2018. Overnight paddocks and experienced de-spooking riders are also available for hire. Breakfast and lunch is included. There are a few local hotels that our out of town participants usually stay in. Check out some of the options below.